Today, there is a revolution around the efficient use of raw materials and its transformation to powders. Many alloys, including iron, aluminum and titanium, are now available in the form of powders of different sizes to meet the needs of many industrial sectors – aerospace, automotive, medical. 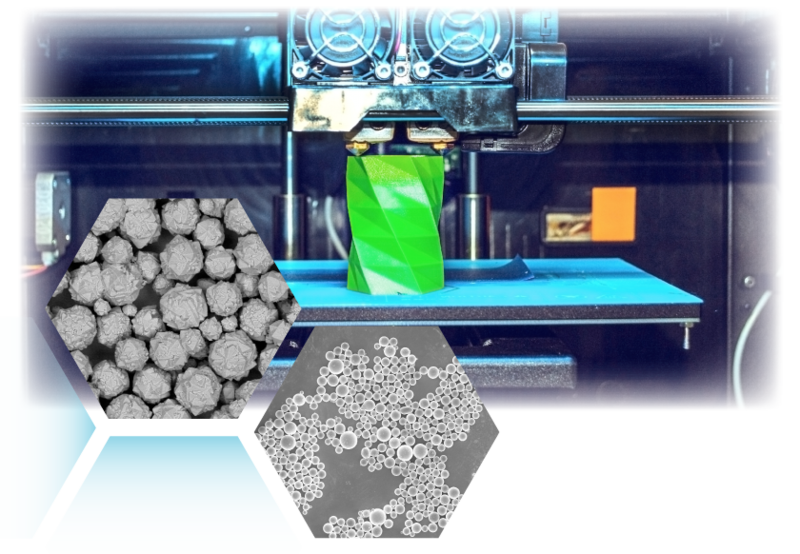 In fact, beyond conventional methods, these metal powders make it possible to exploit new manufacturing techniques such as 3D printing. They also open the way to a more sustainable industry, less consumer of material, giving the possibility to valorize ultra-fine fractions otherwise considered as industrial waste. Using the same trends, many other type of powders are currently enhancing other industries with great added values. The development of these new materials represents a real opportunity for all actors in the value chain, from the processing of raw materials to machine tools. POLLEN offers software solutions to accelerate development and reduce costs.